Women have different needs when it comes to a women work boots. 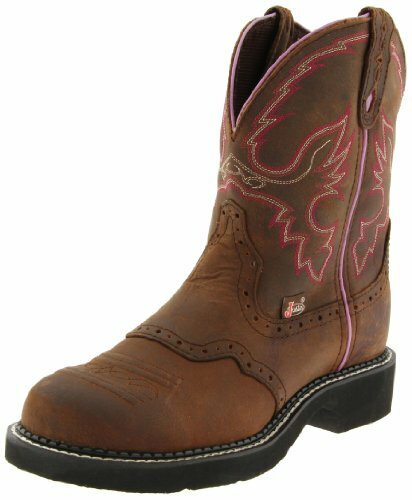 So finding the Best women’s work boots is highly dependable on their needs. Women have made great strides in the last few years when it comes to jobs. The construction trades which were once the sole domain of men is now open to women, and they are doing work now on construction sites ranging from the recently opened Trump Presidential Hotel in Washington DC as well as towering skyscrapers going up across the nation. But, to be able to do this type of work whether for these gigantic projects or the local contractor doing home renovations. A woman today needs a work boot designed to protect her feet, provide a gripping surface to prevent slips and provide ankle support. Besides, they must also be comfortable for long hours of being worn and finally they should also show that while they are designed for heavy work they should reflect a women’s famine side as well. Before purchasing a pair of work boots, you need to consider some factors. The first is of course quality. The best way to ensure this is to stick with buying your work boots from a brand name known for their workmanship, materials, comfort, and fit. Fit is probably the next important consideration as this prevents injury to the heels, sides, and toes through friction and pressure. This also means you need to also consider buying a work boot that is slightly larger than your street or sports shoes as you will want to accommodate heavy-duty socks to provide additional padding and absorb perspiration. The upper of your work boot should be made from materials that breathe and lets air circulate to help cool and remove perspiration. Along with this, it needs to be waterproof and stain resistant as well to allow for ease of cleaning. Finally, your work boot should cinch up tight to prevent it being pulled off when walking through muck and mud that is part and parcel to worksites. Taking these things in mind ensure you a work boot that fits well, gives support, and comfort along with safety for your feet from the perils to them that abound where you will be working. Not only great for construction work but also they are a universal work boot that can do any job that requires heavy work. For example, for working around animals such as horses, your feet are comfortable, and they last a long time under the most rugged conditions imaginable. They also look good on you, resist stains, and water as well. Therefore, they are perfect for both indoor and outdoor work. They offer support as well and when cinched up would slip off no matter what. These are the work boots you want working on a construction site or places where the going gets tough. They have a fiberglass shank that protects your feet from punctures. 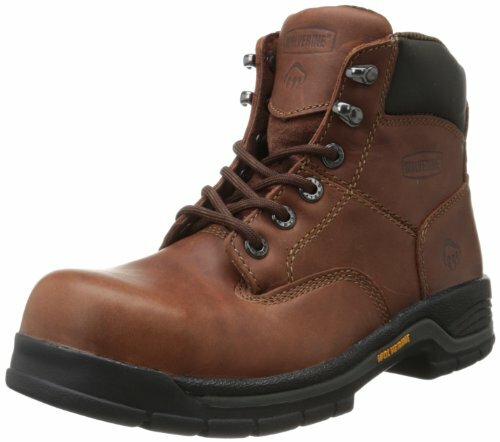 So, when you need a work boot that wouldn’t quit turn to Timberland. Detroit is the city that works and so do these work boots. For work in an industrial environment, they are the boot for you. 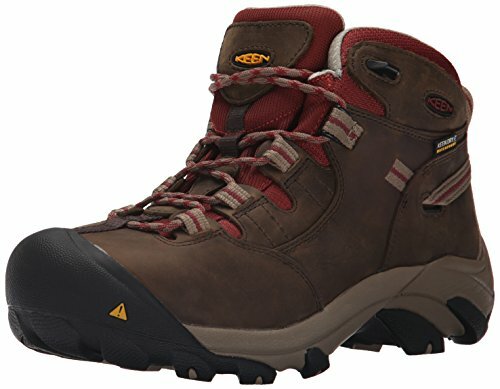 These are boot certified for electrical hazard, steel toed, and waterproof. They meet the ASTM, ANSI Standards. They give you a Contoured Heel lock Dri-Lex liner with a 2-zone comfort design. The midsole is EVA molded to fit your foot. Their liner is removable if you want to put in your own ortho-shaped one. The boot helps prevent heel spurs and compression blisters. Go 1 size up from your street shoe and you are golden when it comes to comfort while wearing work socks. You wouldn’t slip on gravel or slick surfaces and in today’s world, you never know what you will face once you get to work and these Keen’s can handle it. Made to look like the tactical boots you see on First Responders from all over the world, you get the same styling with the ease of a zipper boot. EMTs wear them and report they are perfect for size and fit. Delivery drivers wear them for those long days of getting your parcels to you and climbing up stairs while carrying heavy loads to boot. So, if you are on your feet for 8 hours a day you have the perfect answer to tired and worn-out feet in these boots. The 8-inch height protects and supports your ankles. In addition, you can walk or run in them for miles without discomfort. Remember though to go up 1/2 a size to accommodate thicker socks. Now you can get a set of Tac-boots that do the job and while not in style but with plenty of comfort and support instead. These boots give perfect comfort for hours at a time. A padded collar provides protection from debris entering and adds extra comfort in a work boot that is made for a woman’s special needs. 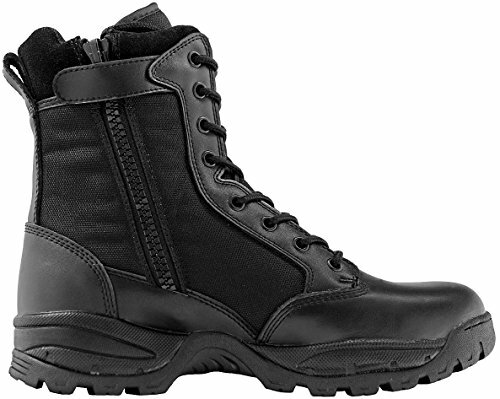 They are perfect for hiking and working in the field as they provide protection and comfort combined. 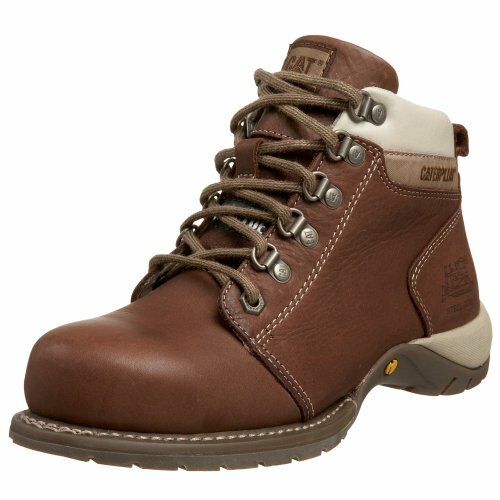 So if you work outdoors and with animals like dogs or horses, these are the boot you need. They also fill the bill if you are going places where it is going to rain a lot or work in an environment that water is present. Your feet stay dry and wouldn’t be blistered. This also means for a person that works standing up all day you have a pair of work boots that can go the distance and do it in style ad with a bit of panache as well. You can work in the yard and then dash off for a quick shopping trip. In addition, you’ll not be afraid to wear them out to casual events like picnics, carnivals, and walking down streets south of the border looking for bargains. Bearing the CAT logo with pride you know you are wearing a sturdy work boot made for a woman and yet as rugged as a man’s. You have a steel reinforced toe that protects and a padded raised tongue for ease of putting on and comfort as well. If your feet hurt in ordinary work boots these will be a pleasant surprise. They are comfortable and even working on a farm where the temperatures can top 100 degrees down towards the Mexican border and in the southwest, you have found yourself a pair of work boots that breathe and keep your feet comfortable and cool. Made for standing, walking, and heavy work you can walk for miles and your feet still feel good afterward. CAT Quality and you have the comfort, support, and style that set these boot apart from the rest. The boots come a bit large so you will want to go down a half size to get that perfect fit you want for comfort and the right fit. When you need protection, a steel toe is what you want. You also need a non-skid sole that will provide traction and handle water and oil easily. 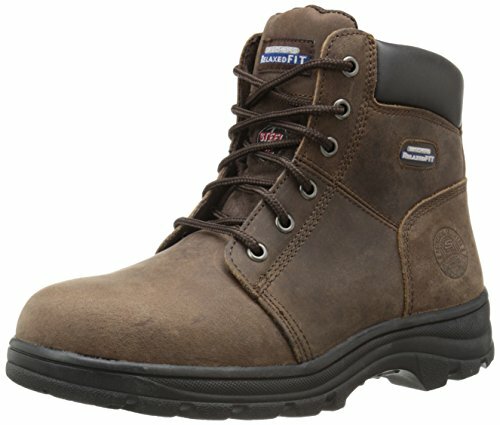 They make a great work boot and working in the field as well. However, go up a half size for comfort. They will keep you dry in up to 4 inches in water without a complaint. You can work in the hot sun and your feet will stay comfortable as well. 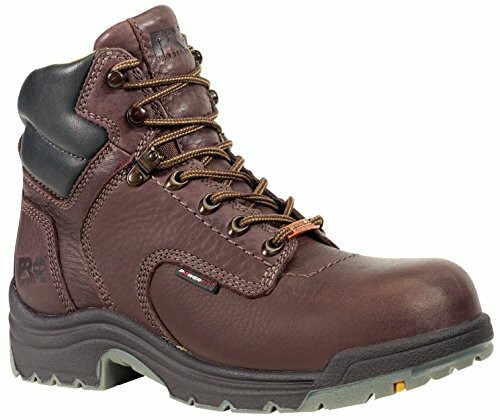 These are one of the best boots ever and you will be amazed at the comfort you will derive from them even after working 8-10 hours a day. When you are doing shift work or on concrete floors, these are the work boots you want on your feet. If you wear padded socks as well, you can almost go dancing in them with ease as for how comfortable your feet will feel. You now have a great for indoor or outdoor work in industry or in the field. 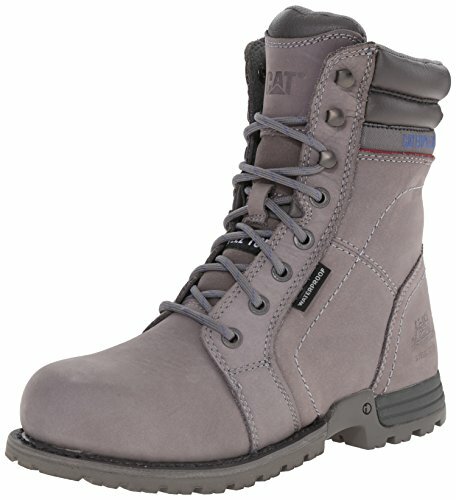 Caterpillar gives you women a work boot that is ASTM certified for steel toe and Electrical hazard work as well. These women work boots are not beautiful. They are, however, made for comfort and rugged work. That’s what you want working at a plant or on the industrial floor. 100% waterproof as well that gives you an additional reason to want a pair of these when you have to work outdoors at a wet worksite and in places where water is an occupational reality of life. Your feet stay dry and no more compression blisters as a result. They are a bit on the heavy side. However, the comfort and protection are worth it to wear something that weighs in like your average ski boot. Comfort is a priory along with maximum protection. This is exactly what this work boot offers the women no matter their work environment. From a factory floor to working with livestock on a ranch or farm, you have it all in one boot that meets almost every hazard to be found in today’s work a day world. You can proclaim your femininity as well as protect your feet while working with this offering from SafetyGirl. In addition, you get waterproofing and a work boot that is rugged and durable. You get quality at an affordable price. They are steel toed to conform to industrial safety requirements (Not ATSM certified though) and remember if you buy a pair in a half up a size you get all the comfort you could want. 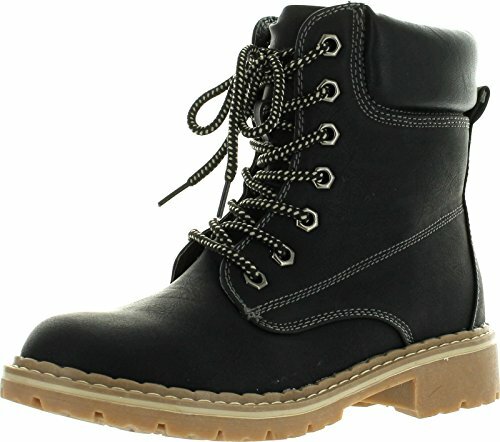 These boots are a blatant challenge to a male dominated workplace and you can flaunt your style, color sense, and panache in an otherwise dull and monotone boring worksite. If you work a 40-60 hour workweek, you’ll find you can do so and not wear out your feet in the process. 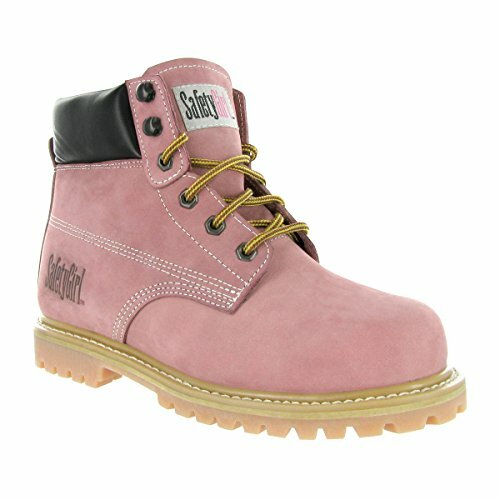 They protect your feet and let you do so in style this pair of work boots from SafetyGirl. The wolverine pound for pound is one of the toughest animals on the planet who have faced down a Grizzly and won. You get that same toughness from these work boots. They are ASTM certified and things just get better from there. Raised tongue for comfort and ease of getting in and out of. They have a mesh lining that lets your feet breathe in whatever work environment you find yourself. If you work in a garden or a plant nursery, you can stand on your feet all day in perfect comfort. For those of you who work in a factory or at a plant you need to stand stationary for long periods of time. These boots do not constrict and allow proper blood flow to keep your feet healthy. They provide you with just the right amount of support where you need it. Your feet will feel wonderful even on a construction site and many women have been trying to find the lady Wolverine in stores and rather than go from store to store. Wolverine has brought them to the net on Amazon to answer the demand of women in the workforce again. 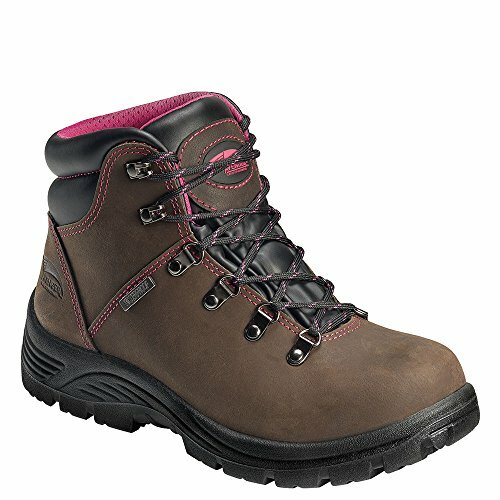 For the woman who demands quality, strength, comfort, and protection here you will find it with Skechers’ 76561 steel toe work boot. They meet and exceed the ASTM standard that means you are protected no matter the work environment you are in. They have a padded collar that gives comfort as well as prevents the outside from getting inside. The memory foam lining makes the inside of the boot conform to the shape of your foot and provides padding to keep your feet from getting tired during an 8-12 hour stint in them. You can work with horses, fowl, and other livestock with no fear of moisture or staining. If you work on a construction site you will find that they stand up to the rigors of work found there. However, they also shine on a factory floor as you are either skittering about in a hurry or standing in one place for hours at a time. This boot is adaptable to you needs and keeps your feet safe as well as healthy as they let air in to circulate sweat away to prevent blistering. Though not recommended for dancing they make your feel light and that will bring a smile to your face as your work. 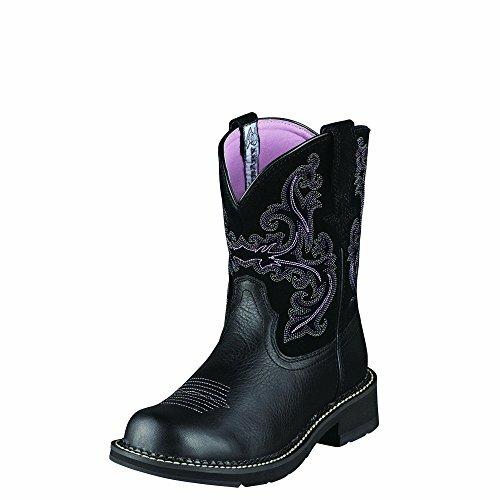 If you are more fashion conscious women, you will definitely like to have a touch of fashion in your work boots too. For you, we are presenting following two womens fashion work boots at your disposal . Work boots are mandatory in many workplaces today. It used to often be difficult to find a women work boot that met the ATSM standards, was comfortable, and fitted a women’s foot, which is shaped smaller and differently from a man’s. Today , you’ve seen 10 of the best and in styles and different types that meet the need for outdoors, factory, and any other work conditions you have need of a quality work boot for. Now all you have to do is select the one that fits your needs and you can even find them that reflect your sense of style and show your feminine side as well without sacrificing safety, security, and comfort in the process.